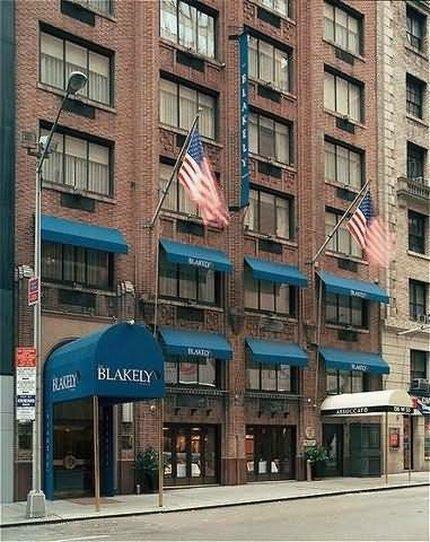 The Upscale Blakely New York located in heart of Midtown Manhattan West on 55th Street off of 6th Avenue Avenue of the Americas and 7th Avenue broadway Times Square In contrast to recent trends of modern boutique hotels where comfort takes a back seat to style Blakely New York has been created in a traditional design with the emphasis on service and comfort. A credit card is required to guarantee reservations at time of booking. Cancel 24 Hrs before 3pm the day of arrival to avoid a penalty of one nights room and tax. Exceptions may apply - please see rate rules. For bookings of 5 or more rooms per night- you must cancel 5 days in advance to avoid a one nights room and tax penalty.